The World Cup only comes around once every four years, which makes the custom soccer balls they design JUST for the event very rare and timeless. You have the chance to OWN the exact same ball the two best teams in the world play with during the World Cup final this year. 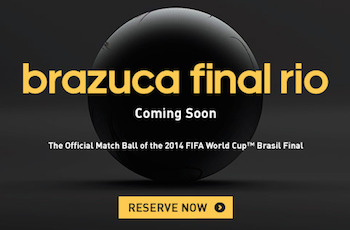 The adidas Brazuca World Cup Final Ball is available for pre-order now! You didn’t think you could just buy it before the game is even played, did you!? Everything great in life is worth waiting for…and so is this amazing soccer ball! If the Brazuca isn’t in your price range, check out the other cool balls available for only $12! Sports Techie, The Brazuca soccer ball is outstanding, I own one and our family loves it, the sports tech innovations set it apart from all other balls. 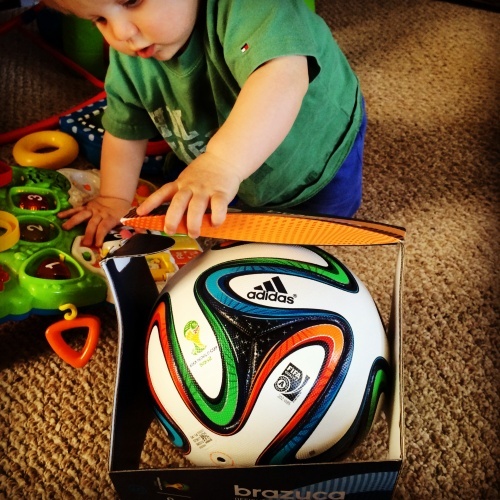 Nothing like unboxing your first adidas Brazuca FIFA World Cup soccer ball. Another ball to consider buying to improve your skills and performance is the brand new adidas micoach smart ball. 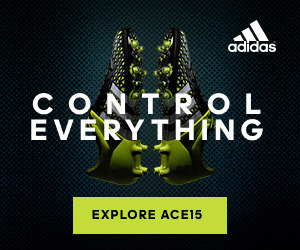 This link is not an affiliate one but it is too awesome not to add when blogging about adidas sports technology. The adidas micoach smart ball with integrated sensor for dead-ball training. Start with ordering the official Team USA, Brazil, Germany and Argentina soccer balls and then make fan history with a pre-order purchase of the adidas Brazuca World Cup Final Ball and also the Battle Pack selections. Upgrade to the micoach smart ball when your can for $299 that integrates with their iOS iPhone app as a digital trainer component. After you have done that you are definitely #allin.